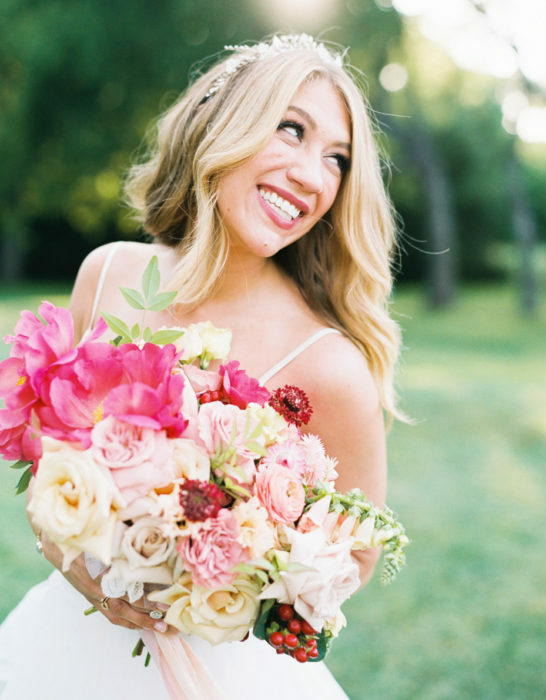 When Lauren King and Matt Peisker met at a mutual friend’s housewarming party, Matt’s thoughtful and helpful interactions with the other guests first caught Lauren’s eye. In front of that fire, they bonded over faith and love for the University of Texas Longhorns, Lauren’s alma mater. He got her number and invited her to the symphony the next day. 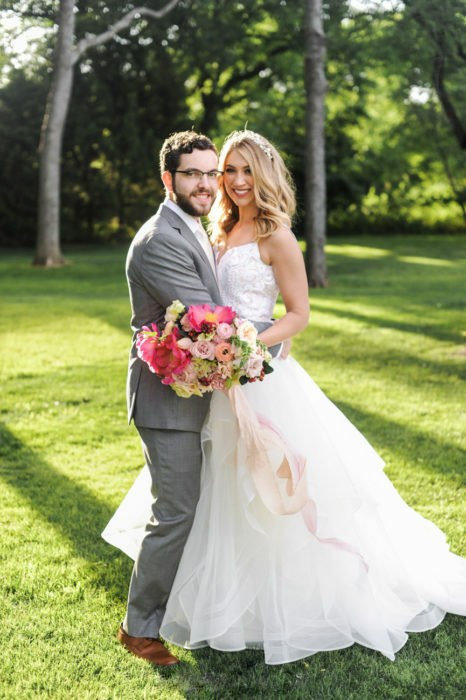 Soon after, they began dating, and nine months later, Matt proposed in the Poetry Garden of the Dallas Arboretum. Lauren’s parents and grandmother joined her for a day at the Arboretum to see the Wizard of Oz pumpkin displays (an outing dedicated to her family’s Kansas origins). Matt surprised her in the Poetry Garden. 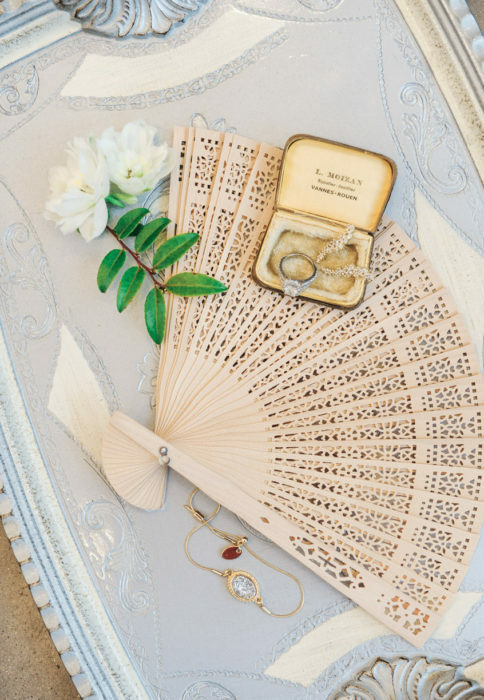 For their wedding, Lauren and Matt wanted simple elegance. They both love nature and spending time outdoors, so the Firefly Gardens were a perfect choice. 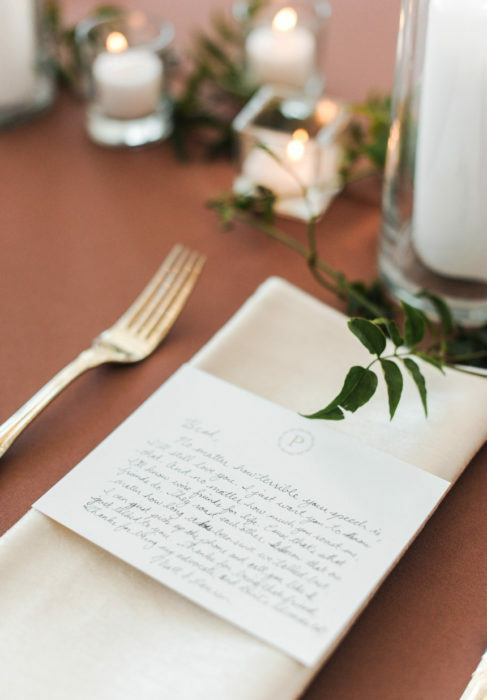 The couple entrusted Lottie Fowler from Grit & Gold with achieving their organic-yet-elegant vision. 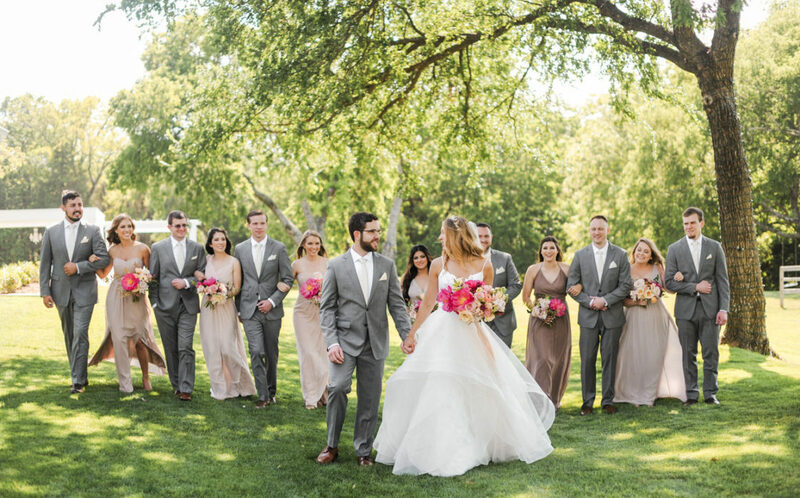 The bridal party wore neutral tones to match their natural aesthetic, which was also emulated in the pink peony floral arrangements. And as an extra touch, guests were given intricately carved wooden foldable fans for the outdoor service. 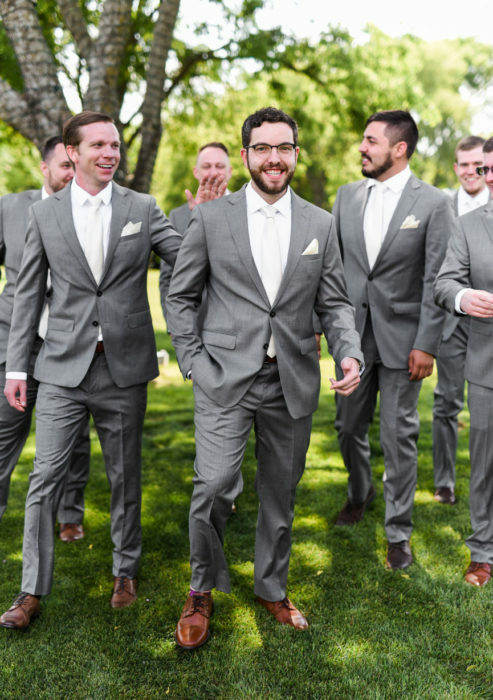 On May 25, 2018, Matt’s thoughtfulness reappeared in the middle of the ceremony: little bugs kept flying into the skirt of Lauren’s dress, and he kept trying to pull them off. 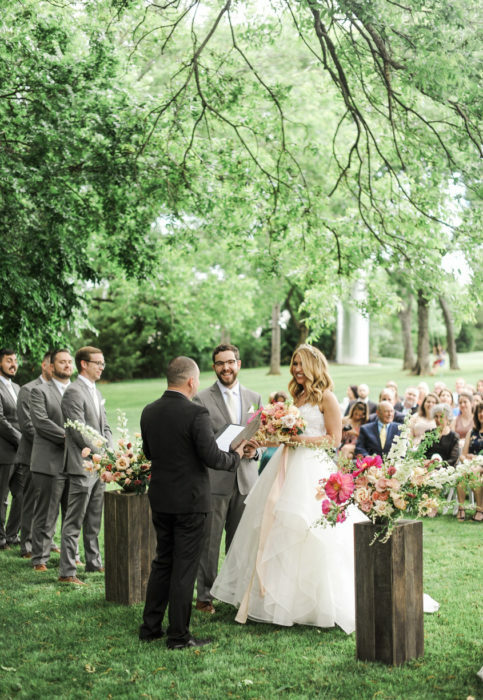 The couple wrote their own vows with no set guidelines or discussion in advance, and the surprise made the experience both fun and special. 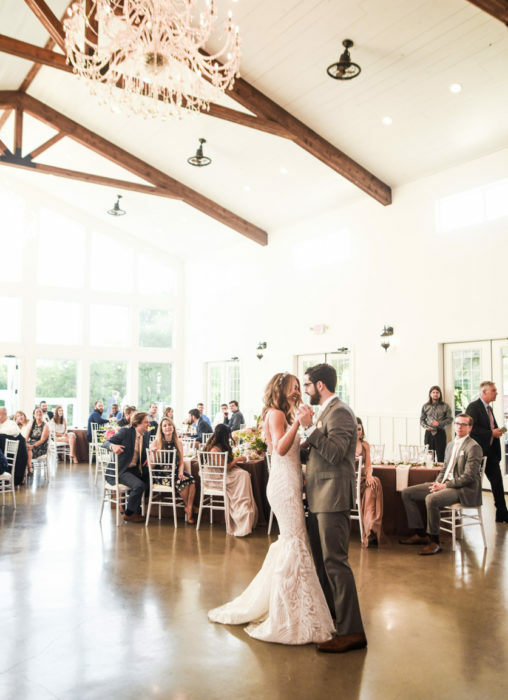 Lauren and Matt spent weeks picking out every song for their nuptials. Lauren walked down the aisle to Bethel Music’s “Ever Be” and they recessed to “You’re My Best Friend” by Queen. Weeks of dance classes paid off when the reception began. The couple had taken weekly lessons leading up to their big day and had choreographed their first dance. “We got to laugh and make mistakes and ultimately created something that was uniquely ours,” Lauren says. 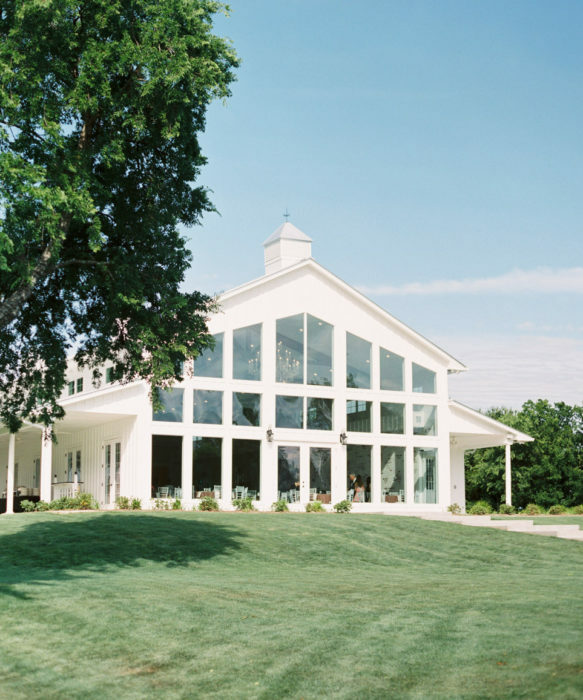 Natural light filled the reception hall at Firefly Gardens, and the After Party Band brought an energy to the party that made it extra special. 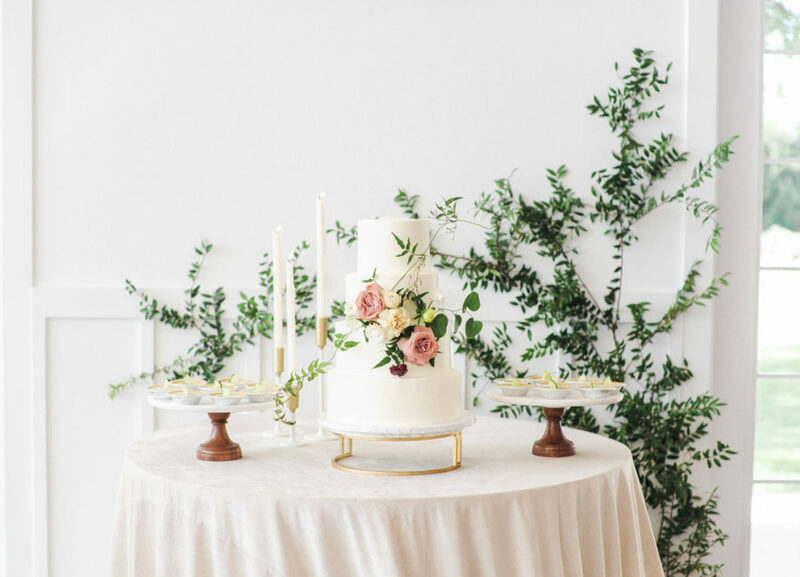 Along with wedding cake, the couple served mini key lime pies.